Garages are a source of all sorts of dangers. In the first installment of this article, we discussed organization, automatic doors, and burglary prevention. 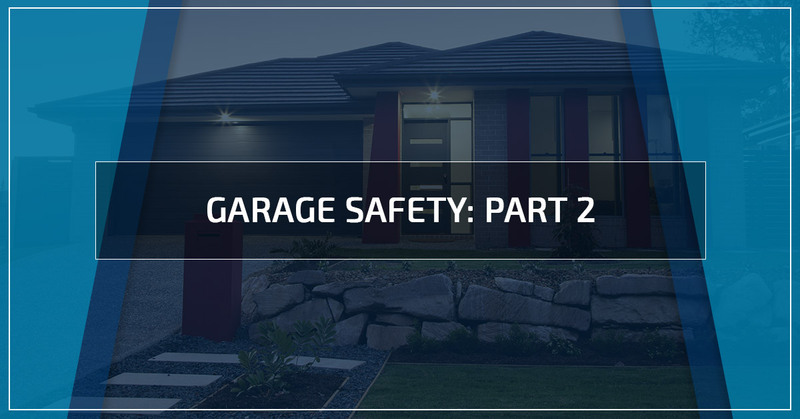 In this second installment, we will visit a few more garage dangers and how to mitigate them. 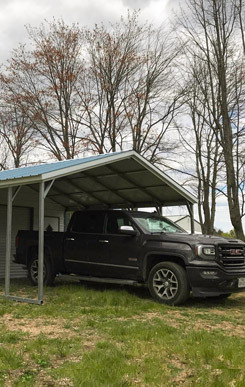 Garages are used to hold vehicles, including cars, lawn mowers, and recreational vehicles that all have oil and fuel as part of their operating systems. These chemicals are highly explosive. We also use our garage to hold a host of other flammable substances such as paint, cleaners, and propane tanks. If you have a detached garage when a fire starts it may keep the fire away from your home, depending on the proximity; or it can be more dangerous because you may not be aware of the fire until it’s too late. 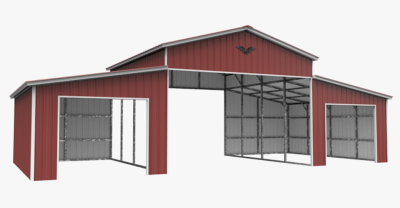 Metal garages offer some containment in the event of a fire. It is a good idea to keep explosive substances in accordance with the suggested storage guidelines, which can be found right on the product or online. It is also smart to keep a functioning fire extinguisher in the garage. If you have an attached garage, it is wise to install a smoke detector or fire alarm that you can hear inside the home, or better yet, is tied into a home monitoring system. Garages, especially detached garages, are at a much higher risk of sustaining damage in adverse weather than your home is. The single panel of garage doors weakens the integrity of the wall they create. In harsh winds, such as in hurricanes. The doors may not hold up as well as the sturdy, framed out walls that hold it. Detached garages are at particular risk of being damaged in adverse weather if not installed correctly. It is a good idea that if you live in an area with extreme weather or has regular visits from the dark side of mother nature (hurricane, earthquake, or tornado), that you take the extra steps to properly anchor your detached garage, and consider pouring a concrete foundation for it if it is seated in your yard. Flooding poses a problem for garages because they are not watertight. In attached garages, this is why it is typical that the garage sits slightly lower than the home, requiring a step or a few into it. Detached garages can gain this same advantage if a cement slab is laid under it prior to anchoring. If you live in an area prone to flooding, you can place sandbags along the inside of the garage door to prevent water from coming in. Also, make sure that gutters at the end of the driveway are cleared of debris to allow water to escape into the gutters. Double check that your rain gutters do not divert water from the roof to anywhere near garage entry points. Typically, we keep the dangerous things in the garage to keep them out of the home. When we “childproof” the home, items that are deemed unsafe are relocated to the garage. Garage-organic items such as automotive parts, caustic substances, and power tools are all dangers to children. It is a good idea to make your garage a “kid-free zone” rather than attempt to child-proof it. Because of the nature of what is kept in the garage, seriously consider the need for your child to ever enter the garage, unaccompanied. If your vehicle is kept in the garage and you access it from the house, just make sure the child never goes alone, which shouldn’t be too hard since they can’t drive it anyway! Detached enclosed garages are a lot easier to keep children out of, but it does not mean you don’t have to safeguard it! Safety is no accident. It is important to take the time to make your garage safe for you and your family, your lives could count on it! 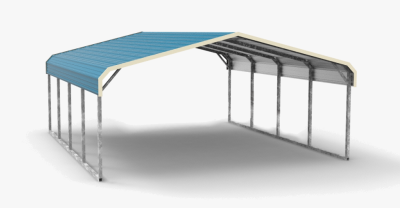 For quality you can count on, installed professionally, contact Wholesale Direct Carports in California. 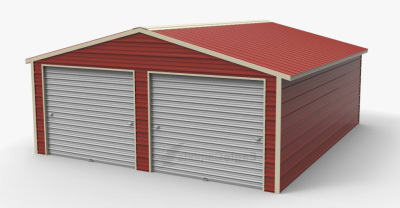 Our detached enclosed garages include delivery and installation.